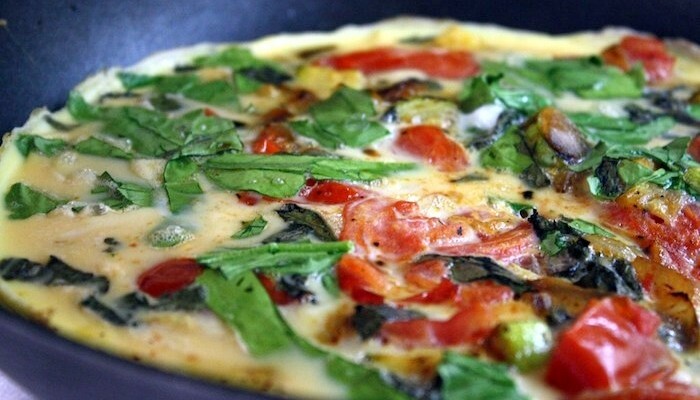 This weekend, I brought together a breakfast staple – egg omelette – with flavors of Italy, tomatoes, basil and balsamic vinegar. It’s such a fragrant way to start the day and reminiscent of Mediterranean cuisine. Enjoy with soft mozzarella if you want to fill up further. Enjoy! While you prepare the omelette, pour the balsamic vinegar in a small pan over medium heat and let that simmer slowly til it cooks to a glaze. The water in the vinegar will evaporate, leaving behind a balsamic sauce with a thicker consistency. Melt the butter in a medium-sized cooking pan and add the onions, salt and pepper and cook until beginning to become translucent. Then toss in the zucchini. 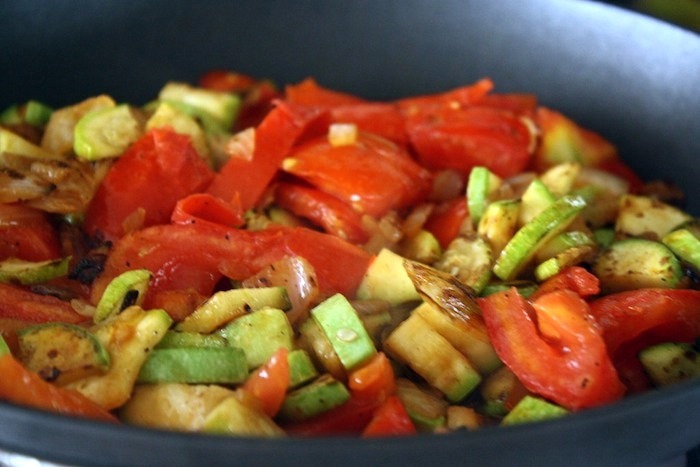 Cook until the zucchini is tender. Add the tomatoes! Let the veggies cook for a few more minutes or until the tomatoes break down. 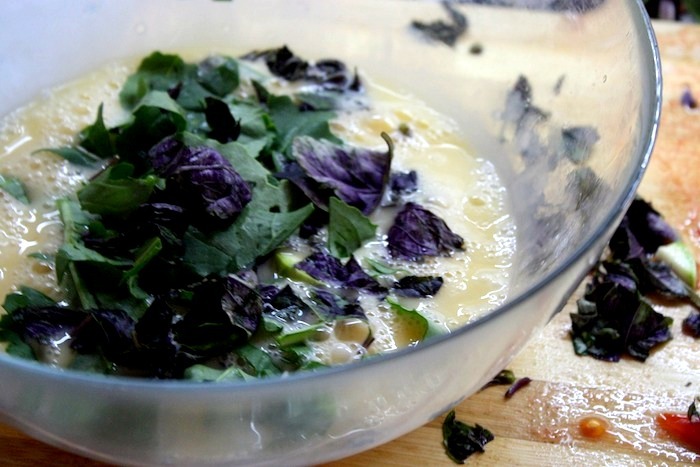 In a bowl, crack the 6 eggs, whisk them lightly, and stir in the chopped basil and parsley. 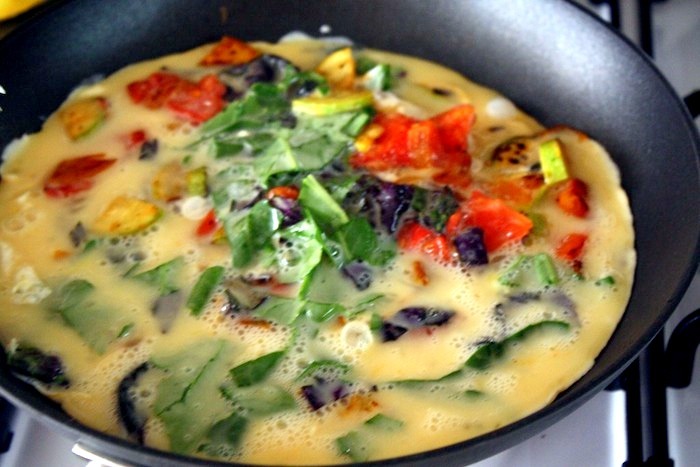 Pour the eggs atop the vegetables, making sure it is evenly distributed throughout the pan. Use a fork to pull in the sides toward the center to allow more of the egg to cook. When you begin to see cooked egg form closer to the center of the pan, through the veggies, remove the pan from the stove and place it into a broiler for 1-2 minutes, or until the top of the omelet is cooked to your liking. Before popping it into the broil, you can add cheese on top for a more decadent touch. Remove from the broiler oven and cut to serve. Pour balsamic reduction atop each slice. This entry was tagged breakfast, breakfast egg recipes, breakfast ideas, breakfast recipes, detox recipes, easy healthy recipes, egg breakfast recipes, egg recipes, eggs, good vegetarian recipes, great vegetarian recipes, healthy, healthy breakfast recipes, healthy dinner recipes, healthy food recipes, healthy recipes, heart healthy recipes, how to become a vegetarian, italian, omelets, omelette, quick vegetarian recipes, simple vegetarian recipes, vegetarian, veggie recipes. Bookmark the permalink. 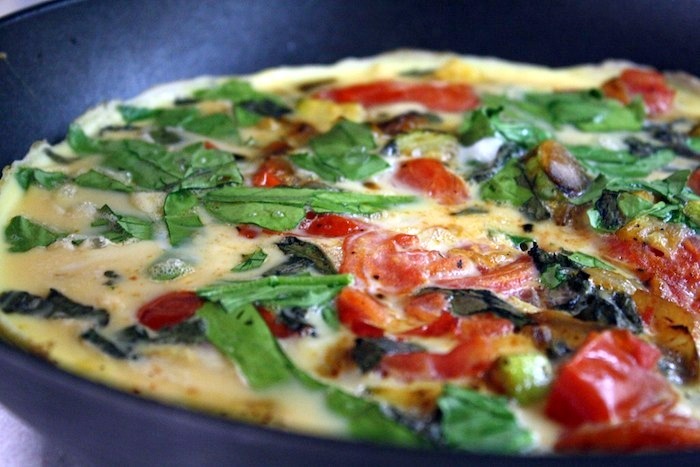 I love the sheer volume of beautiful vegetables in this omelet! 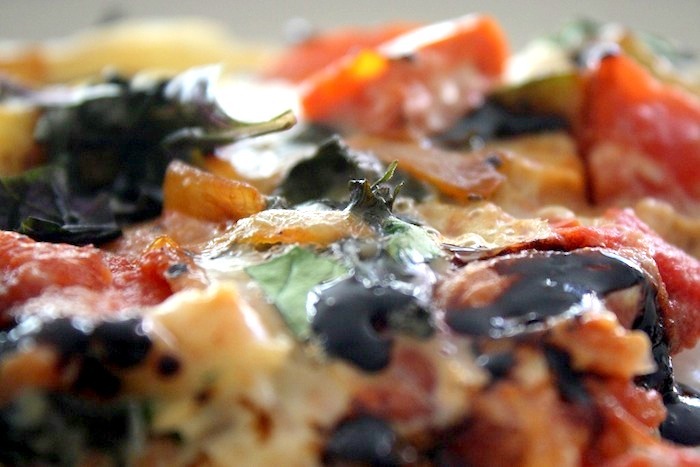 And the balsamic reduction sounds wonderful–such a pungent counterpoint. Hooray!